Hot Basil (Ocimum tenuiflorum) is an aromatic plant in the family Lamiaceae which is commonly found throughout the Southeast Asian tropics. 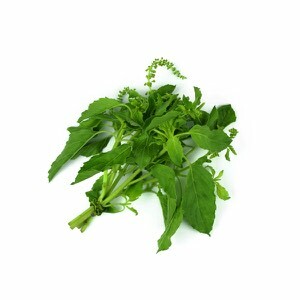 Hot Basil is cultivated for religious and medicinal purposes, and for its essential oil. It is widely known as a medicinal plant and a herbal tea, commonly used in Ayurveda. This plant is revered as an elixir of life. Hot Basil sometimes goes by the name, Holy Basil or Hot Basil. Learn about Holy Basil on WebMD.